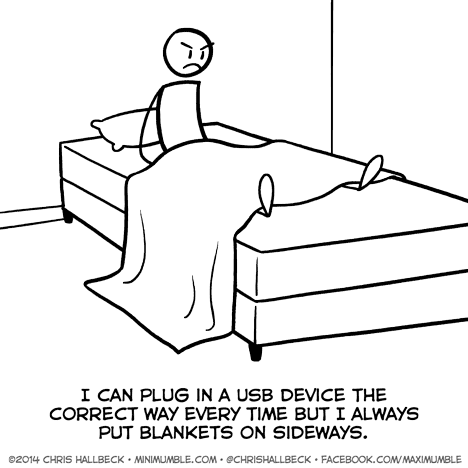 Happened to me all the time until the seam between the blanket proper and the border separated in one corner. Now it’s easy to tell orientation, even when one awakens in the middle of the night to adjust it. Simplify your life. Make yourself a square quilt, so no matter which way it goes on, you’re fine.